Analysis: Parker's release comes as a bit of a surprise after he played nearly 90 percent of the team's defensive snaps this season, though he was a healthy scratch near the end of the year. His release coincided with the activation of offensive guard Laurent Duvernay-Tardif. Parker will become a free agent and, barring he's signed by one of the other three remaining playoff teams, set his sights on making another roster in 2019. Analysis: Parker did not appear on Kansas City's injury report this week, making him a healthy scratch for Week 16. Jordan Lucas will draw the start at free safety versus Seattle, opposite veteran Eric Berry. 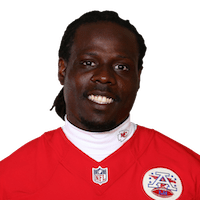 Analysis: In one of the highest scoring games in NFL history, Parker was one of the lone bright spots for the Chiefs defense Monday. The 31-year-old safety was able to lead the team in tackles and keep up his stellar 5.2 tackles per game average. Parker and the Chiefs will be on bye this week. Analysis: Parker's sack of Josh Rosen was his first since the 2015 campaign. The quarterback takedown helped make for an otherwise disappointing stat line for Parker, who had averaged 5.2 tackles per game entering the Week 10 tilt. 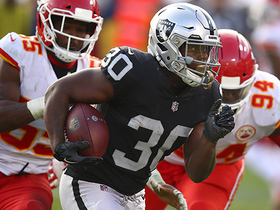 He'll have a good chance at reaching higher production Monday night against a high-powered Rams offense that should test the Kansas City secondary early and often. Analysis: More pressure was on Parker this week while Eric Berry (heel) and Eric Murray (lower leg) sat out. Parker's performance ties tied his season-high tackle total, and he could be relied on again in Week 7 against the Bengals if Berry and Murray can't shake their injuries. Analysis: Parker signed a contract with the Falcons this offseason after spending the majority of his career with the Chiefs, but he was released by Atlanta during roster cuts. 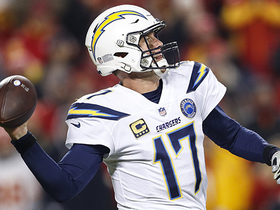 The Chiefs were quick to re-sign the veteran safety and it paid off, as Parker played every defensive down and secured a key interception off Philip Rivers in the third quarter of Sunday's victory. Parker is signing with the Chiefs, Terez A. Paylor of Yahoo Sports reports. Analysis: After spending most of his career with the Chiefs, the 31-year-old safety signed a one-year contract to join the Falcons in June. He was then released by Atlanta on Friday, paving the way for a return to Kansas City, where injuries have taken a toll at safety. Parker figures to open the season in a reserve role. Analysis: Parker signed with Atlanta this offseason after logging over 1,000 defensive snaps for the Chiefs in each of the past four years. However, the veteran became expendable after the Falcons acquired fellow safety Jordan Richards from the Patriots on Friday. Now an unrestricted free agent, Parker shouldn't have much trouble finding a new home. The Chiefs are expected to release Parker this offseason, Terez A. Paylor of the Kansas City Star reports. Parker is listed as inactive for Sunday's game against the Broncos, BJ Kissel of the Chiefs' official site reports. Analysis: Parker will get a rest day Sunday since the Chiefs can't better their playoff seeding. He's been in a bit of a slump lately, but he still averages 4.5 tackles per game and has snagged two interceptions on the way. Expect Leon McQuay and Eric Murray to both see an increase in defensive snaps in Parker's place. Parker had three tackles (two solo) and one fumble recovery Sunday against the Dolphins. Analysis: This was Parker's second straight week with three tackles and a fumble recovery, but he added an interception in the previous week. Parker now has 68 tackles (59 solo) through 15 games, and he played all 57 defensive snaps Sunday. The Chiefs have clinched the No. 4 AFC playoff spot and can't move up, though, so don't be surprised if Parker is rested at some point Sunday. Parker had three solo tackles, two pass breakups and one interception Saturday against the Chargers. Analysis: Parker was on the field for 60 of 64 defensive snaps, and he was able to contribute his first stats in coverage since Week 9 against the Cowboys. This was a nice treat for fantasy owners that stuck with Parker, but his consistently low tackle count should keep him out of most lineups for the time being. 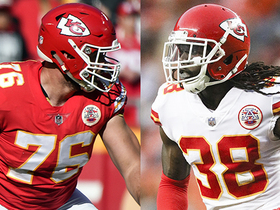 NFL Network's Mike Garafolo discusses the Kansas City Chiefs' latest roster moves and what they mean for the upcoming AFC Championship game. 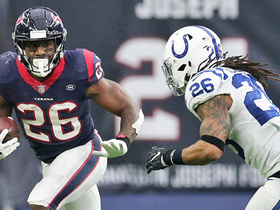 Baltimore Ravens rookie quarterback Lamar Miller's miraculous escape turns into major gain for 21 yards. 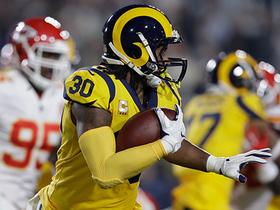 Los Angeles Rams running back Todd Gurley runs for 24 yards. 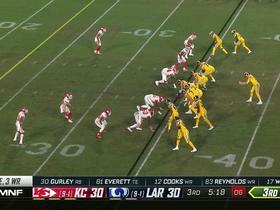 Los Angeles Rams wide receiver Brandin Cooks receives key block from offensive tackle Rob Havenstein on 13-yard catch. 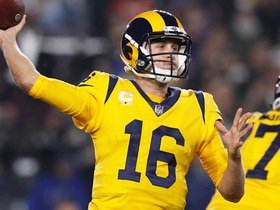 Los Angeles Rams quarterback Jared Goff rips it over the middle to wide receiver Josh Reynolds for 14 yards. 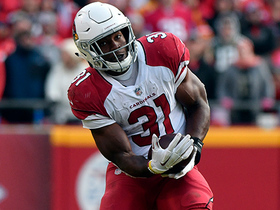 Arizona Cardinals running back David Johnson gallops for 24 yards on short pass. 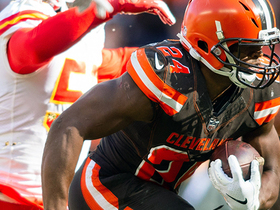 Cleveland Browns running back Nick Chubb looks like a freight train on this power run up the middle. 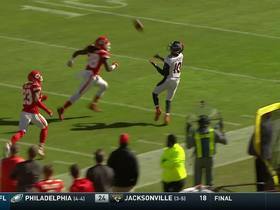 Denver Broncos quarterback Case Keenum throws a deep ball to wide receiver Emmanuel Sanders for a 49-yard gain.